Ultimate Luxury@ New Price! Sophisticated Duplex Penthouse wrapped in floor-to-ceiling glass so you can enjoy sweeping panoramic vistas of sky, parks, water, sunsets & city views from every room ...some all the way to the NYC skyline! Located on the 34th & 35th floors, connected by a graceful marble staircase, the 2-levels of public & pvt rooms boast high ceilings, custom LED rcsd lighting, Mecho motorized shades wide board floors & the perfect open floor plan. The 35th-flr offers impressive entertaining and easy living in the dynamic Great room w/fireplace, open dining rm & gourmet eat-in kitchen. Great rm is embraced on 2-sides by window walls+sliding glass out to sweeping wrap terrace w/double aspect views. Great rm flows into airy dining rm w/wonderful views and DRâs open to chef's EIK filled w/Viking stainless appliances/gas range+very lg center island/brkfst bar. 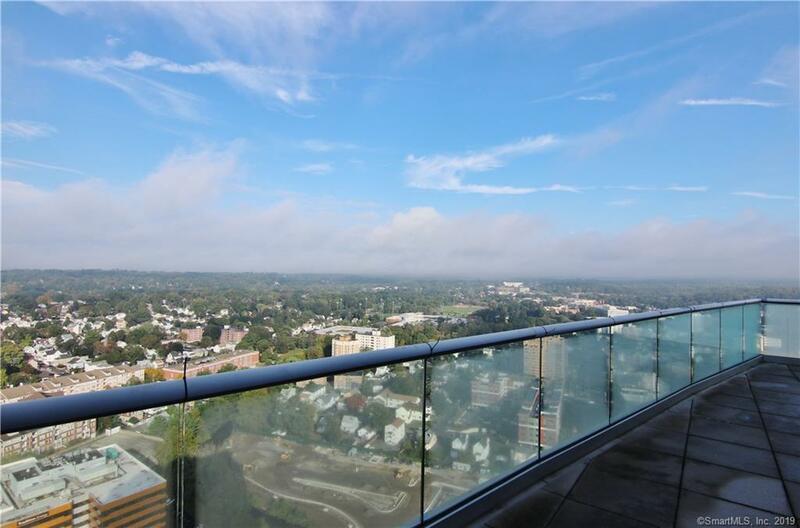 Bedrm level does not disappoint w/wonderful amenities+WOW views! Master suite has pvt terrace, sumptuous Carrara marble bathrm w/double sinks, jetted tub, separate shower & beautifully outfitted double WI closet. 2-add'l BRs w/ensuite marble baths. This full-service building has 24/7-concierge, security+valet parking (parking is $200/mo per car). State-of-the-art fitness center, indoor salt water pool, screening rm, billiards, lounge and 36th flr roof top terrace when you want to mingle. There's shuttle service to the RR station, although it's likely youâll never want to leave your incomparable home in the sky!, All parking is valet parking - cost is $200/month per car.